An interesting article appeared today discussing the connection between genetics and coffee drinking. I think this means I can blame my coffee addiction on my parents. Certainly there's a fight for the coffee pot every holiday morning, when we all come together in one kitchen. Even if it's not really my parents' fault there's no denying the truth: I'm addicted to coffee. This may not seem unusual for a writer, especially a writer who is also a professor and attorney, but I still think that in some ways I take it to extremes. 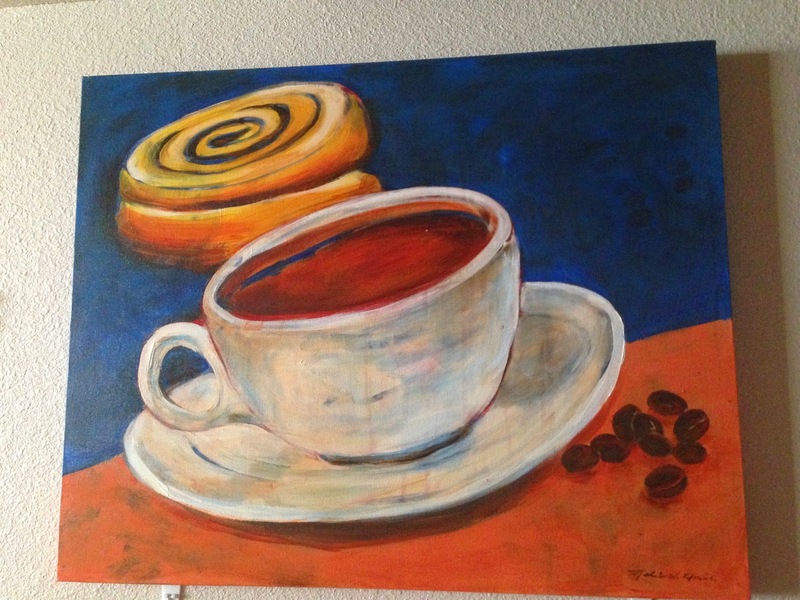 I rescued this painting from a dumpster in Amarillo, Texas, because it features a full cup of coffee, and hung it in my kitchen. By the way, anyone know anything about the artist? The most I can learn is that the painting used to hang in a bakery, and after the people leasing the space abandoned the business the unclaimed art was thrown away. Maybe rescuing a painting doesn't seem too extreme, but I went further. I used the colors to inspire the palate for other kitchen decorations. 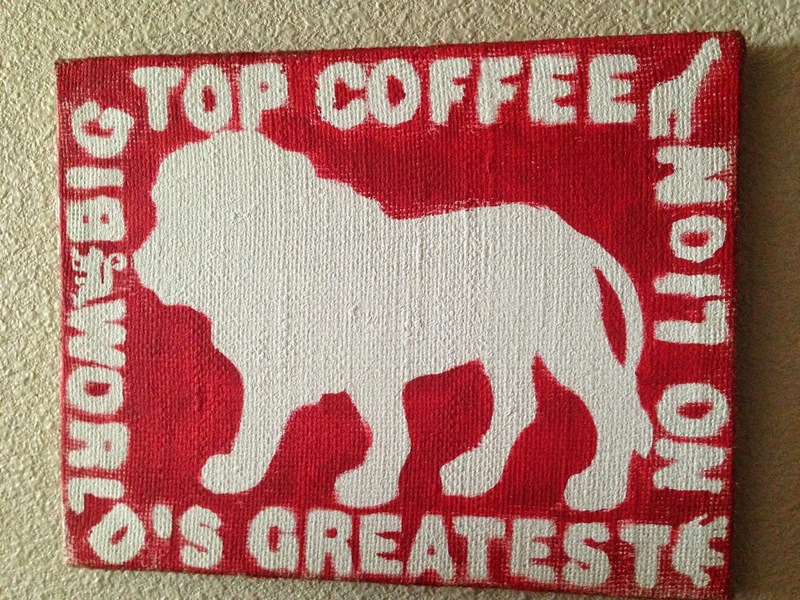 Burlap canvas from Hobby Lobby; lion and letter stencils were foam stickers from Dollar Tree. Perhaps the greatest display of coffee love is the Maryanne Wells character in the Undead Bar Association books. In particular, there's a scene in Binding Deceit where the character's java love is on full display. Even ghosts know better than to bother Maryanne until she's had her second round of java. 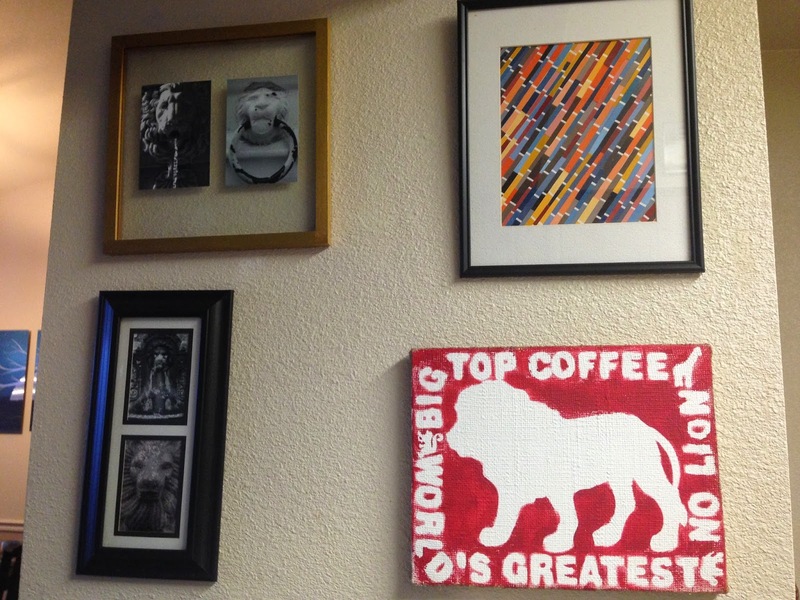 What is it about coffee that makes it so darn lovable? Hard to choose. The smell of the beans, the sound of brewing, the smell and taste of a fresh cup, the way it can stand alone or act as a palate for other flavors … there are so many great things about it. Maybe the best thing about coffee is the way it demands choice. In this it stands in contrast to so much of the world around us. You see, the more complex people make our simple world, the more the need and strive to describe it in shades of gray. Not coffee. There's no middle ground with the java. You can drink it at one of two temperature extremes, iced or hot, and it tastes divine. At any temperature in between the extremes, it's crap. So the rest of the world pleads for you to find a middle ground, but coffee refutes it. Coffee demands you choose an extreme. 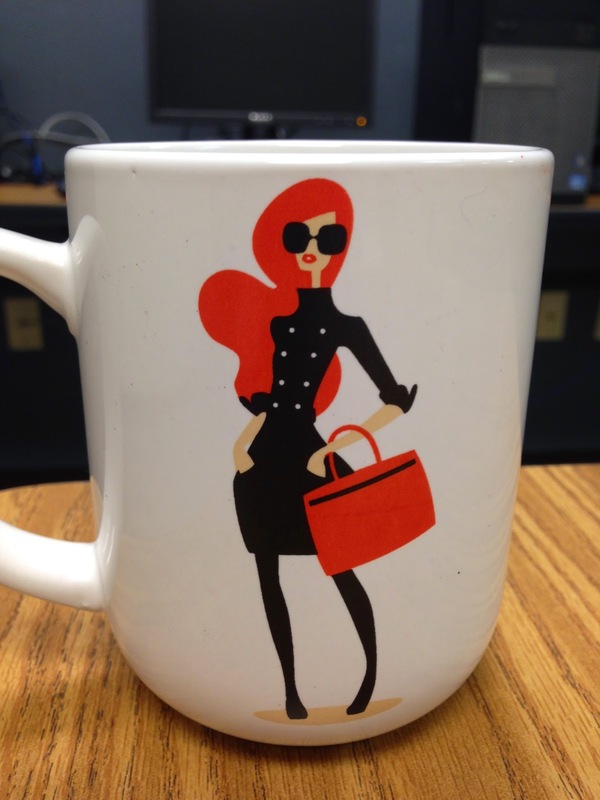 If that's not a portrait of this coffee addicted writer, I don't know what is.